The Supreme Court of India delivered its verdict on a clutch of 27 petitions, which challenged the constitutional validity of Aadhaar — the 12-digit unique identity number with biometric and demographic information, issued by the Unique Identification Authority of India. The apex court ruled that Aadhaar is mandatory for filing income tax returns, but linking it to bank accounts and mobile numbers is not necessary. The Supreme Court ruled in favour of Aadhaar 4-1, with Justice Chandrachud as the lone dissenter. Justice AK Sikri authored one of the three judgements, and CJI Dipak Misra and Justice AM Khanwilkar concurred with him. Justice Chandrachud and Justice Ashok Bhushan authored individual opinions. Justice Chandrachud was the lone dissenter. While reading out the judgement, Justice Sikri said the Aadhaar Act does not violate a person’s Right to Privacy. Stressing that the data collected by Aadhaar is minimal, he said that there is sufficient defence mechanism for Aadhaar. It read down Section 33(1) and struck down Sections 33(2) and 57 of the Aadhaar Act. Private companies cannot insist on Aadhaar for authentication. Under Section 33(1) information pursuant to a judicial order by a court not inferior to that of a District Judge can be disclosed, but the hearing will be given only to UIDAI and not the Aadhaar card holder. An individual could not avail of their basic right to be heard. Section 33(2) states that a Joint Secretary, in the interest of national security, can ask for information to be disclosed. This caused much uproar as the term ‘national security’ is vague. They upheld Section 139AA of the Income Tax Act, which made the quoting of Aadhaar or the Enrolment ID of Aadhaar application form mandatory for the filing of income tax returns and for making an application for the allotment of Permanent Account Number (PAN). However, they said that linking Aadhaar to bank accounts and mobile numbers cannot be made mandatory. In his judgement, Justice Chandrachud said that he disagreed with a substantial portion of Justice Sikri’s judgements. The court said that authentication records cannot be stored beyond a period of six months. Justice Sikri also said that the Centre must bring in a robust data protection law. No person will be denied benefits under social welfare schemes because of failure of authentication through Aadhaar, and provisions must be made for identification if Aadhaar authentication fails. Justice Sikri observed that Aadhaar is meant to help government benefits to reach marginalised sections of society. However, Justice Chandrachud disagreed saying it excluded the marginalised and said it violated the informational privacy and data privacy. Justice Sikri observed that Aadhaar is meant to help government benefits to reach marginalised sections of society. While reading out the arguments by the respondents, Justice AK Sikri said that it is better to be unique than the best. “Being unique is the basis of Aadhaar,” he said. The court observed that minimal demographic and biometric data is collected by UIDAI under Aadhaar. “There is no possibility of obtaining a duplicate Aadhaar card,” Justice Sikri read out. He stated that Aadhaar remains secure with the use of CIDR and “remains unparalleled”, and said it empowers marginal sections of the society. As of now, the Centre has issued 139 notifications, practically touching every aspect of a citizen’s day-to-day life. 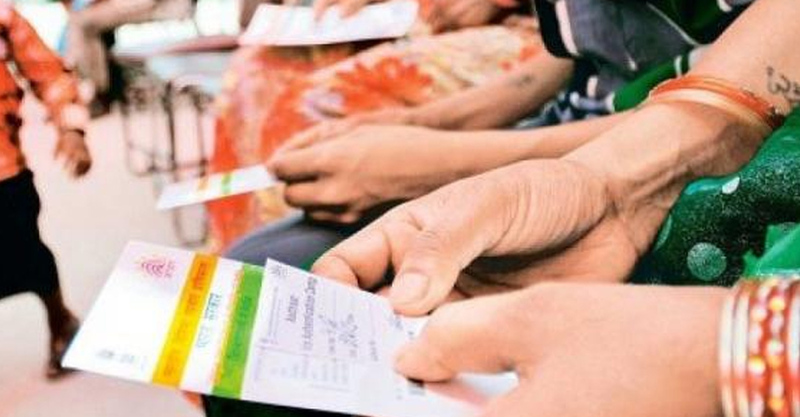 Over the years, the central government attempted to make Aadhaar mandatory to avail a range of services including filing taxes, bank accounts, mobile phones and digital payments. It is currently mandatory for MGNREGA, PDS and LPG subsidies. No person could, however, be declined services not having an Aadhaar card. Dissenting with the majority judgement and agreeing with some arguments made by petitioners, Justice Chandrachud stated that the Speaker was wrong in classifying Aadhaar Bill as a Money Bill as it denuded the federal structure of law-making by limiting the role of the Rajya Sabha in the Aadhaar Bill. “Aadhaar Bill could not have been regarded as a Money Bill its passage as such was illegal and hence liable to be struck down. The passage of Aadhaar Act as money bill was a subterfuge,” Justice Chandrachud commented adding that the passing Aadhaar Act as a money bill was a fraud in the Constitution. “Aadhaar poses a serious risk of surveillance and also a compromise of data stored under Aadhaar. Aadhaar program, in its entirety, is unconstitutional,” Justice Chandrachud observed. He stated that the Aadhaar Act is silent on the liability of the UIDAI. Justice Ashok Bhushan, reading out his opinion, largely agreed with the majority judgement. Justice Bhushan stated that Aadhaar does not violate the right to privacy and it passes the three-fold test in the nine-judge bench decision.